Sometimes I get asked about how I went about making a piece, and I've been trying (and mostly forgetting!) to document my processes a little more. I did remember to take this photo of the frog prior to painting the piece but after curing the 3P Quick Cure Clay onto the birch panel. 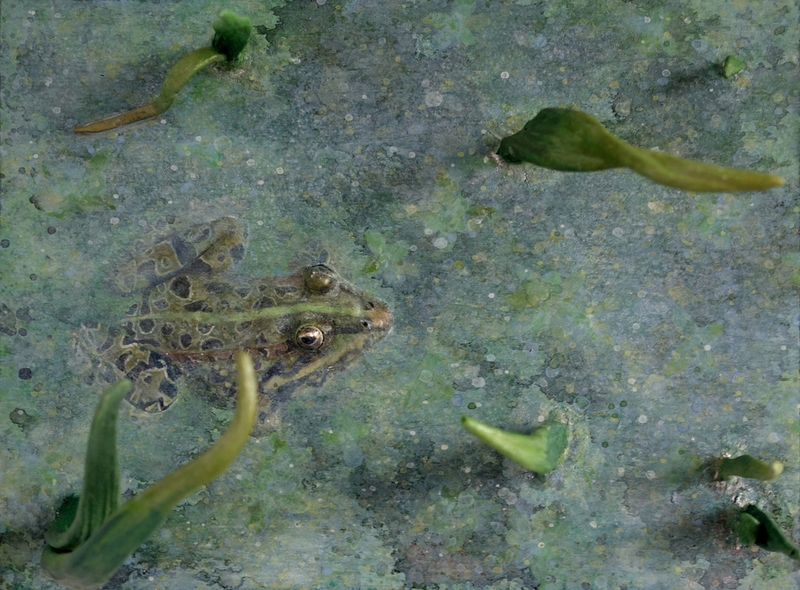 As you can see, I sculpted very light bas relief for the parts of the frog rising up out from the water apart from the eyes, which are in a comparatively higher relief, though both are dwarfed by the grass protrusions. 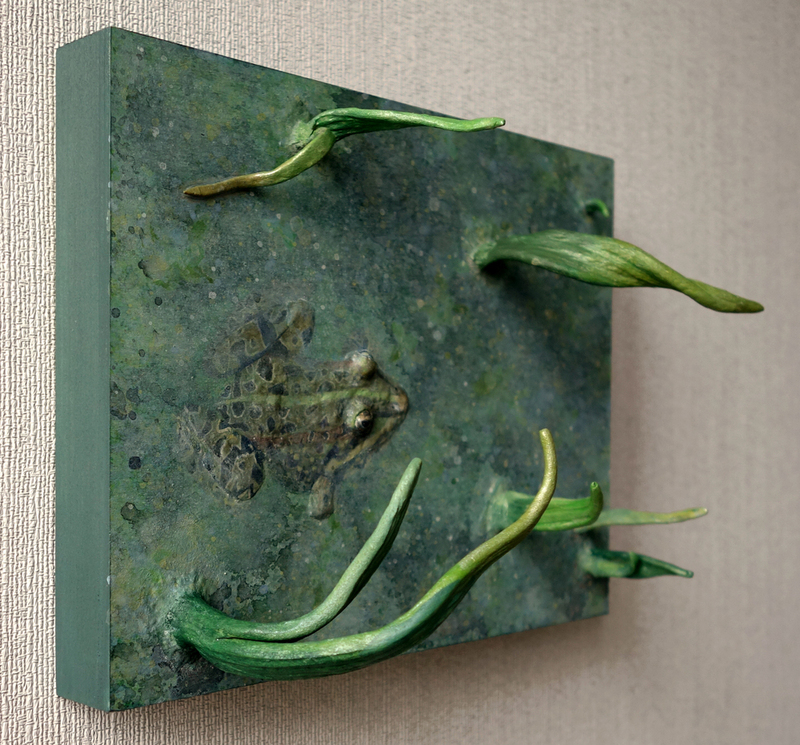 The Slightest Disturbance features a Rana ridibunda or the synonymous Pelophylax ridibundus and is a mixed media relief piece made out of 3P Quick Cure Clay and acrylic on a 6x8" birch panel.